Students completing this option will receive an Associate of Arts degree from West Virginia Northern. 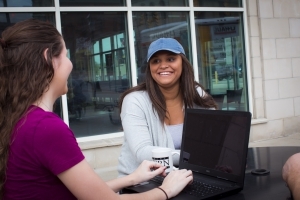 Upon completing the specified 69-78 credit hours at FUS, they will receive a Bachelor Degree in Mental Health and Human Services.Approximately 68 credit hours (depending on what math and science courses are taken) will transfer as equivalent courses, with the rest transferring as general electives. Additional information: The mental health/human services program at FUS may accept additional courses from WVNCC for additional elective credits. FUS also requires additional credits in theology and philosophy for mental health/human services majors. Students selecting this major should consult with an advisor at FUS regarding transfer as early as possible. A minimum of 30 final consecutive FUS credits are required for graduation. Students wishing to earn academic honors at FUS must complete their last 62 consecutive credits at FUS with a grade point average of 3.5 or above. WVNCC grade point averages do not figure into this calculation. Important Note: A degree in Mental Health and Human Services is not related to any kind of licensure. Students interested in licensure will need to consider a Bachelor’s or Master’s degree in Social Work or a related field that is licensure eligible. * Choose from: MATH 108, MATH 110, MATH 210, or MATH 279. Note: FUS recommends MATH 108 or MATH 210. ** Choose from: BIO 110, BIO 112, BIO 113, BIO 114, CHEM 108, CHEM 109, PHYS 104 or PHYS 105. Note: FUS requires BIO 114 and BIO 115, so students may choose these courses in lieu of the Associate in Arts core requirements listed in the beginning of this section. *** Choose from: ART 150, ENG 200, ENG 201, ENG 211, ENG 215, or MUS 105. Note: FUS requires four Humanities core courses (literature, philosophy, history+, and any other).+ Choose from: HIST 100 or HIST 101.++ Choose from: any HPE course. +++ Although electives may be chosen from any courses, FUS recommends HS 101, SOC 255 or SOC 276 for additional transfer credits. Refer to Core Requirements for the Associate in Arts Program.